Another shot with the “Impossible ” Film again today. In between the down pours I popped out to a favourite cafe, Peter’s Yard for a coffee and a bit of writing. Again , the picture shows those strange dots and lines, but on the previous picture I showed these have already faded away, so seems to be no cause for alarm. Am getting better at the whole “shooting into the black bag” system. Although combining that with using a monopod does leave you wishing for at least one extra hand. A change from the Iphonography of recent days. 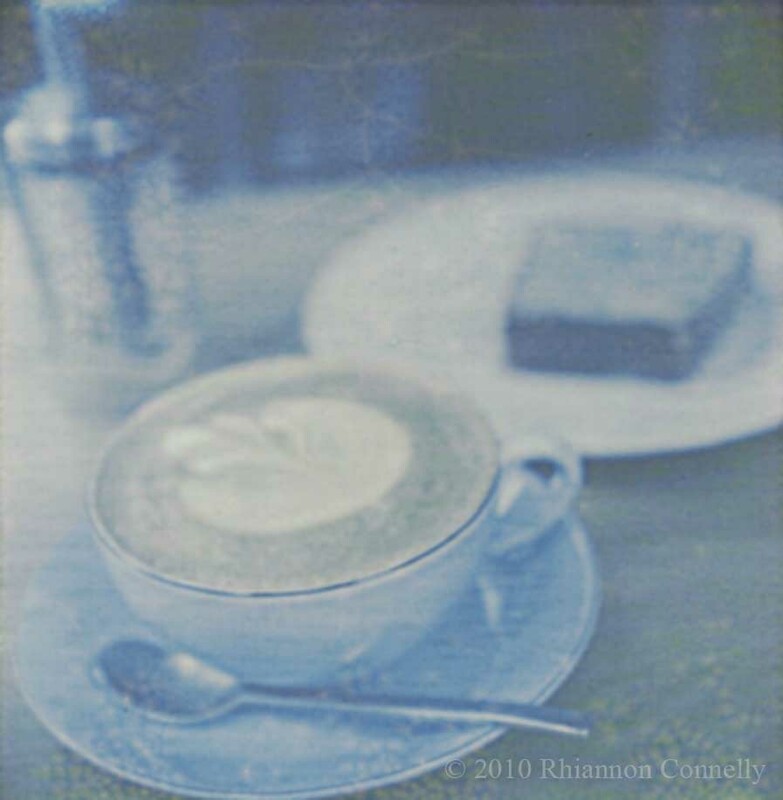 This is my second shot taken with the Impossible Film /PX Colour. There are some dots showing up on the scan, but if it behaves as the previous shot did, these will disappear after a couple of days. I bravely set off to take a picture outside – bravely as the film still has to be protected from light straight away and that is quite tricky when you are outside with blowing winds etc. I used the same technique as I did with the black and white film of shooting into a black plastic bag ( a bin liner folded up and taped to a small size). I saw an explanation of how to make a light shield out of black card and that might be a little easier to work with, but even so , the black bag seems to do the trick well enough. I didn’t try manipulating any images yet, I thought I’d get to grips with the film a little first. But althoughI do like Polaroid “neat” my main hope is to have film that can be manipulated. And really I’d like bright colours too, but I’ll settle for muted colours for now in the hope that those magicians at the factory in Enschede will get the colours bright in the end. 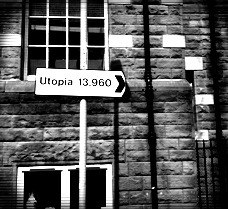 August Break – The Way to Utopia ? Iphonography – The Way to Utopia ? Misty morning inspired today’s Flickr Favourites for me – clicking on any of the links above will take you to the original photograph. Make your own here and play along and add your mosaic at Artmind’s blog. Tuesday is “Flickr Favourites” on Artmind’s blog. Use the mosaic tool and play along too. This week, as everything in nature goes further and further into orangey shades I feel drawn to as much greenery as I can find. 1. arterial, 2. Dogwood Bokeh, 3. Autumn Light, 4. ..”October is a symphony of permanence and change”..
A quick “Flickr Favourites” before I get on with the task of finishing off my calendars and photographing them. This time I searched Flickr with the word “October”. If you want to join in you can use the mosaic tool and post your result over at Artmind’s blog. I haven’t done a “Flickr Favourites” mosaic for ages but decided to have a go this morning. My word of the year for this year is Joy. (Last year’s was “Reveal” ) . It has been an interesting experience to choose these words and see how they can influence my thoughts and attitude. Anyway….most of the images above were the result of searching Flickr with the word joy. If you want to join in with Artmind’s Mosaic game you can make a mosaic here – and then you can visit her blog and post your link there.